This brush is used to create different designs on nail. 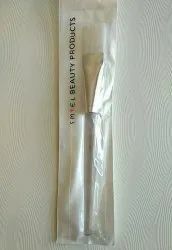 Due to its fine point this brush is best for nail decoration. These are the most versatile and common Nail art brushes. These are used for creating intricate designs. These also help in creating different strokes patterns. This Nail Brush effectively cleans every corner of the nail making it tidy and shiny. 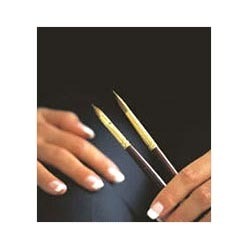 Nail art brushes comes in 15 different interesting pieces and each set can be further divided into 7 parts. This is perhaps the softest nail brush available. Always work away from the cuticle towards nail tip to avoid damage to cuticles. For extra clean nails, brush every day in the bath or shower. This will help shed dead skin cells and stimulate circulation and nail growth.